Are there any you’d like to see us review first? Let us know and we’ll begin diligent play of any requested games; otherwise we’ll set into motion our Algorithm of Questionable Randomness and pop out the reviews in a questionably random order. 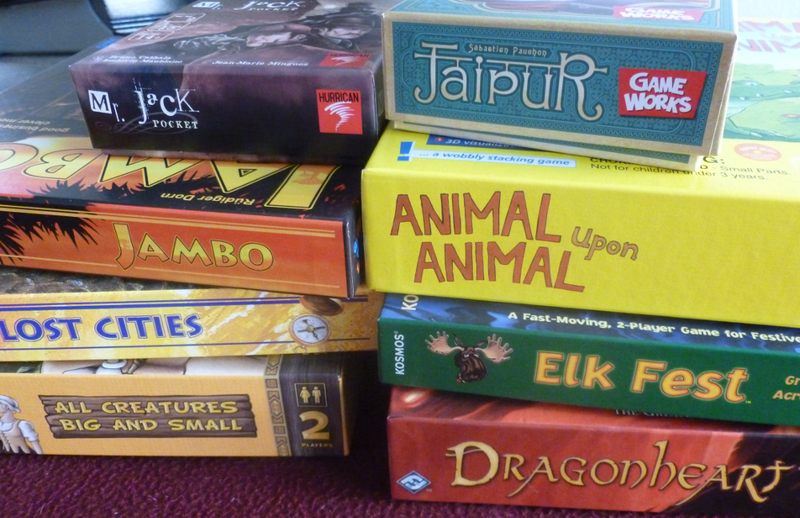 In order to fulfill the Internet requirement of “pics or it didn’t happen,” we present to you the aforementioned games sitting on our infamous red poker table.